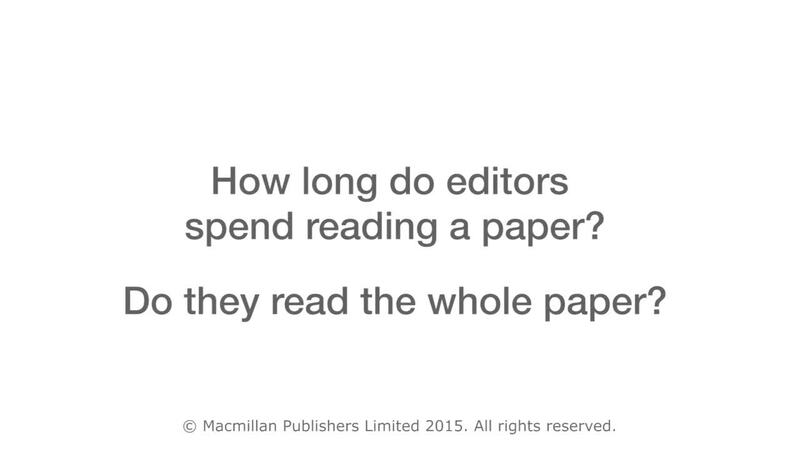 FAQ: How long do editors spend reading a paper? Do they read the whole paper? What are the essential components of good research? What are the essential components of a good story, in relation to a scientific paper? FAQ: How do I know if my paper is good enough for a top journal? FAQ: What is the most common reason for rejection at the Nature journals? FAQ: How do editors identify which research areas are a priority for publication? FAQ: Does a rejection affect my chances of getting published in the same journal in future?